ITC Systems’ Loaders are a key component to your cashless revenue system. Dispenses cards as well as add value to your accounts or cards with these powerful 24-hour cashiers. 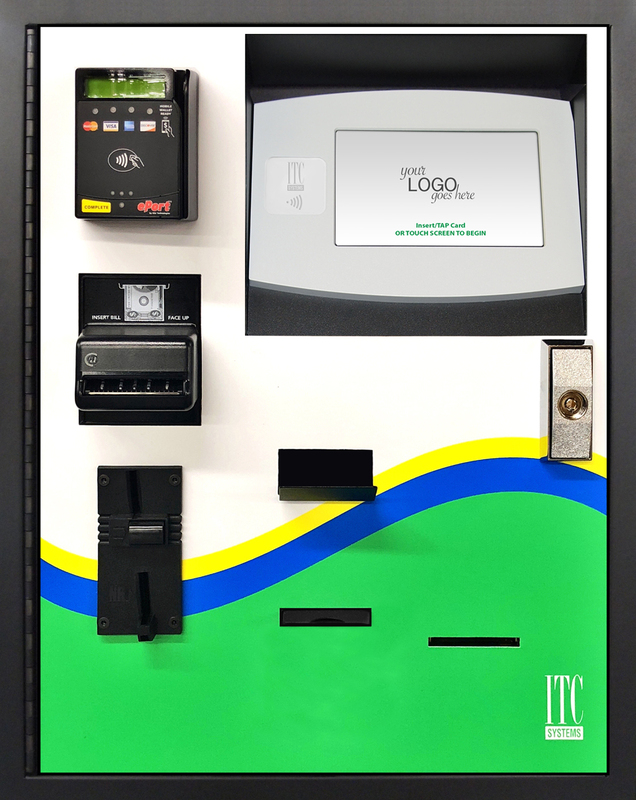 Our loaders can be configured to accept any combination of coins, bills, or credit/debit cards to dispense cards and add value to a user’s account or stored value card. The loaders accept multiple user card formats such as ABA magnetic stripe, contactless, prox, barcoded and stored value magnetic stripe cards. These Loaders have options for a card dispenser, receipt printer, high security lock, alarm, and base. Credit/debit card acceptance is achieved using an integrated credit card modem.Transfer funds from one account to another through Multiplan and also check your transactions or change a PIN at this Loader.